If you’re in the top 100 out of 103, it might not mean much. However, if you’re among the top 100 restaurants in America—yup, the entire United States—then that’s a different story. We don’t generally toot our own horn, but we’re telling the truth! 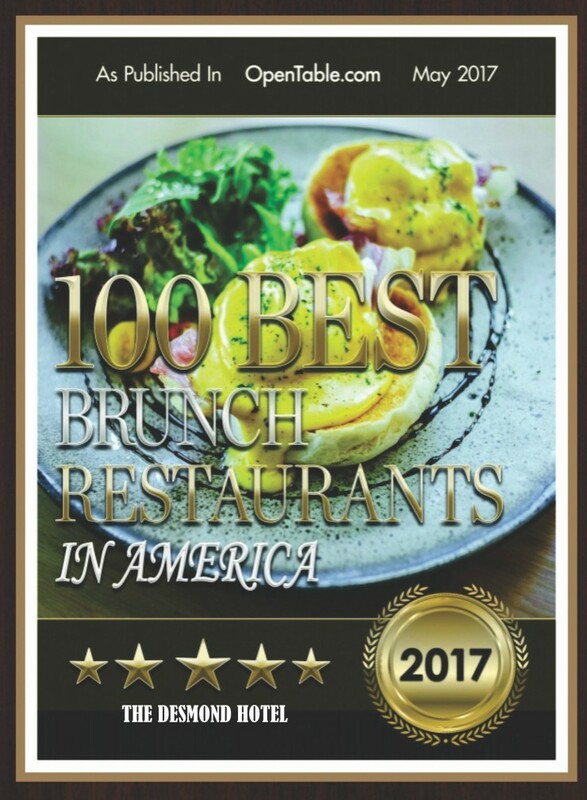 OpenTable diners voted us one of the 100 Best Brunch Restaurants in America, and we’re proud to serve you our award-winning brunch every Sunday. We love focusing on the finest American regional cuisine and bringing the best ingredients from near and far to our kitchen and to your table. Executive chef Chris Calhoun and his talented team craft amazing food day in and day out—including the early risers. Why settle for a regular old brunch when you could brunch at The Desmond? So how do you make a great brunch? Every gourmet and aspiring cook wants to know the answer! 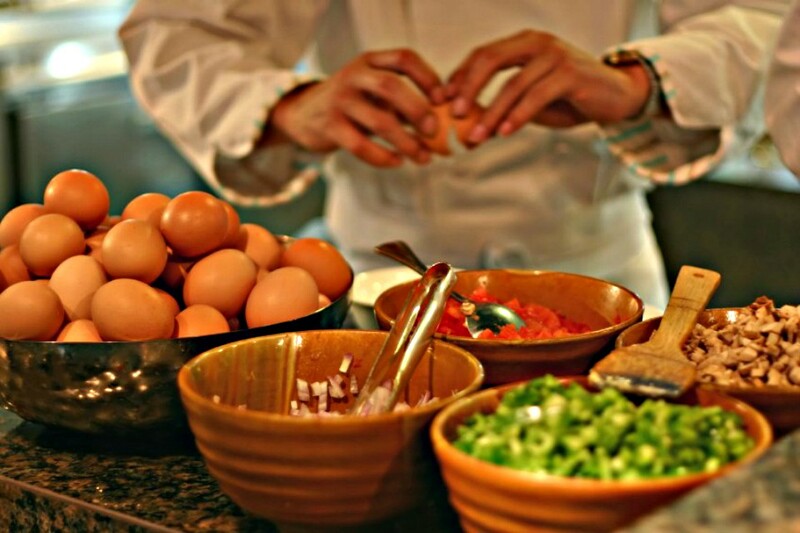 We asked chef Chris to share some of the elements of a fantastic brunch for the home cook. Don’t cook? You don’t have to. You can make reservations here. 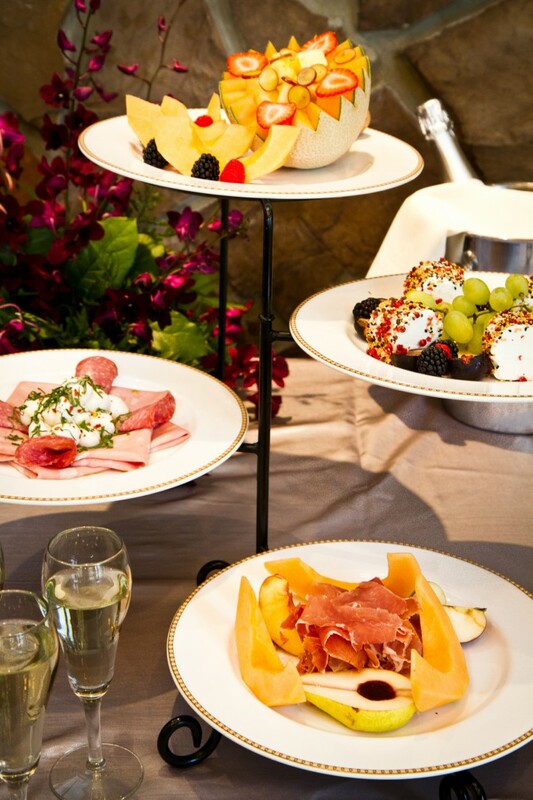 Read on to find out how chef Chris makes one of the best brunches in America. When everything is good, nothing can be bad. Start with the best ingredients and you’ll end up with the best food. Serve a varied menu and you’ll be sure to strike a chord with everyone. Variety is the spice of life—for good reason. Guests with dietary needs and restrictions will especially love a thoughtfully diverse menu. How does it all come together? With an amazing brunch experience, of course. Find out for yourself and visit us today! This entry was posted in around the table and tagged brunch, chef chris, chris calhoun, tips. Bookmark the permalink.